Who doesn’t love a fizzy beverage? With Christmas around the corner people will be stopping by, imagine how chuffed they’ll be when you invite them to come make their own drink with your Soda Stream. The Soda Stream is also a fantastic choice for anyone on your list; children love to get involved and make their own drinks and adults enjoy the knowledge that they are in control of what ingredients are involved. Make your favorite soda drinks in the comfort of your home in seconds. Our products include drinks makers, flavored syrups, gas cylinders and bottles. We seek to revolutionize the beverage industry by reducing plastic bottle waste and being an environmentally friendly product. SodaStream is an “Active Green” product, meaning that consumers are actively reducing their CO2 footprint every time they make soda or sparkling water at home instead of buying it from the store. The more the system is used on a daily basis, the more CO2 footprint the user actively saves. You can purchase Soda Stream products ONLINE or Find a Retailer Near You. 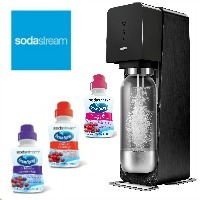 To connect directly with Soda Stream, head over to their Facebook Page or Twitter where they are engage regularly. The fine folks at Soda Stream Canada have provided us with one Soda Stream Source & Ocean Spray syrups to giveaway to one very lucky Canadian reader. To enter you must be 18+. Simply fill in the form below to enter, giveaway ends November 29th. Winner has 48 hrs to respond. If you’re looking for Christmas gift ideas for more people on your list, make sure to check our the rest of ourHoliday Gift Guide features. I would be interested in the fruit syrup. I have been researching these Soda Stream units for the past three months trying to decide if I should get one. I would really like to , but it is a big financial output when I live on a small disability pension. I am waiting for a good sale, so I can get the unit and buy a few flavours of syrup and gas cartridges with my savings. My doc and nutritionist strongly recommend the Soda Stream units for patients with my dietary issues. I had to give up pop five or six years ago and at times I really crave a fuzzy drink! I want to try it on the fresh squeezed apple cider from the farmers market the most though! It would definetely be the Cola we’d be trying first. Im sure we would be tryin a lot of different flavors though. I would like to try the cola and the kool-aid flavors look cool for the kids. Mmm…the tea one looks great! I would like to try the Clear Passionfruit Mango! I would like to try the Root Beer! I would love to try the Sparkling Teas, this would be great throughout the day! id love to try the apple mango! it sounds delicious! Definitely Cherry Cola! My all time fav! I would love to try Cola. I want to try the pink grapefruit flavour. I’d like to try the Orange Mango fruit syrup. Cherry Cola is my fave. Any fruit flavour would be appealing to me! I would like to try one of their Natural flavours! I asked for one for Christmas. I would love to win one! This is most definitely on my Christmas list! Santa I’ve been a good girl this year!!! For me it would be the sparkling tea. I would love to try the cola, I hear it’s just like coke! I’d love to try the Goodness Black Currant Pear! I’d like to try the clear or tea, but I would really like this for my husband, who drinks far too much Coke! Root beer is my fav! Would love to try the Diet Cola Caffeine Free. My parenst both drink diet cola dn I think making our own at home would be a much better and more economical choice for us. I would like to try the Grape Kool-Aid. Brings me back to my childhood!! I’d like to try cola. Probably a boring choice, but I’m curious about the cola’s. I am a Diet Coke addict so I would definitely try the Cola syrop. Any of the tea flavs look amazing! I would like to try the tea flavour. I Would like the Diet Dr. Pete. OMG do I just have to pick one? LOL I could see a lot of them being great but I think my fav would have to be Cran-Raspberry I just love a nice tart drink and this one sounds right up my alley! I’m looking forward to Cranberry Raspberry. The kids would love the Kool-Aid flavour, but I think I’d like to try the Pink Grapefruit!!! Sparkling T for Me. The Boys would Go nuts for the Root-beer! I would have to say the cherry cola! I’d like to try Cola! It may sound a little boring but I’d like to try the lemon-lime. Of course I’d also like to try some of our house-made simple syrups too. I would like to try the orange mango. I think I’d make my own…Cranberry-Raspberry Gingerale :) yum! 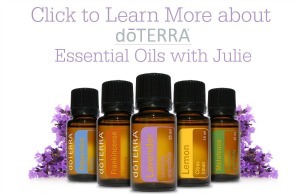 Cranberry-Raspberry, Ginger Ale or any of the Green Tea flavors! To start likely Cream Soda and Rootbeer, although we would like to try them all! I’d like to try their ginger ale. The citrus green tea looks yummy! I’d like to try the cola and the cranberry. Cola for the family & pink grapefruit for me! Thanks for the chance to win. – Raspberry – Cranberrry sounds delish! I would love to try that. I love the gingerale already! I would LOVE the Cherry Cola & my daughters would be thrilled with the Orange Mango! Thanks for the chance to win! I would love to try the cola flavour. I think I would try and keep it simple and try the Sparkling Goodness Lemon Lime. I love carbonated water. Those sparkling teas look great! I’d love to try the cranberry raspberry! I would like to try the My Water Strawberry and the Soda Stream Diet Cola. Cola — I’m not very fancy. Cran-raspberry or the pink grapefruit! Goodness Apple Mango sounds yummy! I would love to try the Sparkling Tea – didn’t know they offered that one!! I’d love to try the “Goodness Cola” flavor. I’d definitely like to try the Cream Soda first. After that there are lots of the other flavours that I’d like to try. I’d like to try the Green Tea Strawberry Kiwi. I would love to try Dr. Pete. I would try cherry cola!